One type of vehicle that has been drawing interest for years is electric cars. The reason for this is they are the wave of the future as they run on charges, are better for the environment and can save drivers a ton of money, which includes tax breaks and savings for not going to the pump. As more manufacturers are making these, drivers will have a wider selection of types to choose from like a Tango electric car or a Mercedes electric car. To understand more about this innovative and beneficial model here are ten of the most interesting electric car facts. 1. When driving an electric car you will notice it isn’t much of an adjustment from driving a regular car except with electric models, you will have a smoother and quieter ride. 2. One of the most interesting electric car facts deals with electric car batteries. Anytime a driver applies the brakes, your batteries recharge some as it takes the kinetic energy from the action and transfers it back to the battery. 3. Depending on the brand you buy, a single charge can last you around 100 miles. 4. Brakes last longer on these as the energy used to stop transfers back to the battery. This means there isn’t as much wear and tear on these parts. 5. One of the most interesting electric car facts deals with the speed of different models. For instance, the Nissan Leaf has a top speed of 90mph. 6. When you go to charge the car it will take anywhere from four to six hours if the battery is empty. 7. When looking for electric motors for cars one of the biggest draws is the lack of maintenance required. Unlike gas engines, you don’t have to do oil changes or change your muffler. Instead, your biggest worries will be tire care and changing your wiper blades. 8. Electric cars do not have a transmission. Instead, their motors deliver torque over a range of speeds therefore replacing the need for a transmission. 9. According to Saxton, electric cars use less than half of the energy of a hybrid car. 10. 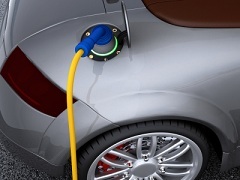 The last among interesting electric car facts deals with emissions. Since these models can generate electrical sources from natural elements like solar and wind, it dramatically reduces the output of CO2 emissions thereby making this the most environmental friendly car on the planet.